Sometimes the reasons for using drones are as obvious as a hole in the ground. You know it better than anyone: dirt, rock and sand are money, and your year can be made or smashed to pieces depending on whether you have too much or not enough for the job. Drones, aka “unmanned aerial vehicles” (UAVs), flown the right way by the right pilots, save manhours, money and hassle. Most importantly, mapping and determining material volumes with drones is much safer than traditional, walk-the-pile surveying. ROI? You better believe it. Business owners and managers in a wide range of industries are increasingly using drones to save manhours, time, money and other resources. Significantly. Even before that, drones cut way down on the time it takes to get an accurate accounting of your material. All of which means they make a towering difference to your bottom line. A lot, especially in aggregates. You might even say tons. Recently we met one aggregates producer whose operation was off by $1.5 million at the end of the year. Needless to say, his accountant was none too happy. And we all know a happy bean counter is the best kind, right? The traditional method for volumetrics inspection, or measuring volumes in pits and hills of material, is to send a couple of guys in hardhats out into the quarry or yard with traditional surveying tools. Take a rock pile, for example. The two-man crew stakes it out on a grid of 3-foot by 3-foot squares, up, down, around and across the surface of the pile. They go everywhere but the top, where the potential for tumbling rocks makes it too dangerous. They take hundreds of global positioning system (GPS) coordinates then insert the coordinates into computer software to connect the points and calculate the surface of the pile. There’s a lot of guesswork between those 3 x 3 square points. It’s highly educated guesswork, to be sure; these guys are really good at their jobs and know how to interpolate a grid. However, the process won’t account for small variations between the points. If there’s a slight rise between the points, the calculations will tell you there’s less volume than you actually have. Or there could be a depression within the square and the model will overestimate the amount of material there. In our business, we say that the grid is “not very dense.” What we mean by that is you can create a 3D mesh and calculate volume based on traditional surveying, but there’s always the possibility of a wide margin of error. Same thing for a hole when you’re determining how much material will fit, just in reverse, with the guys take survey points along the walls and the bottom. Two guys, full day of work… you do the math. The variations between points in 3 x 3 squares might seem insignificant, and it’s true that within a 3 x 3 square they don’t amount to much. 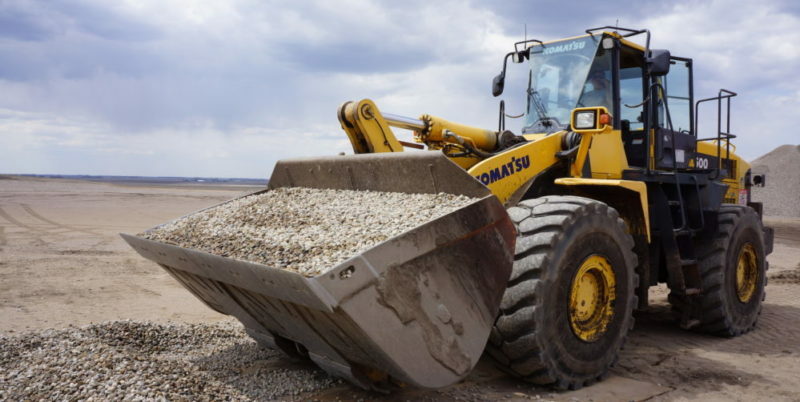 But think about those little, incorrect variations across a huge rock pile with thousands of cubic yards of material, and the deviations quickly add up. With a combination of drones, real-time kinematic positioning and GPS, you get accurate readings within a ½-inch by ½-half inch square, instead. The aerial views provide precise views of the tops of the pile, and data for the entire pile is much denser, richer and more accurate. Combine that with the right people using industry-leading photogrammetry and geographic information system mapping (GIS) software, and the captured data and images become highly accurate 3D models. In terms of results, there really is no comparison. What you wind up with is much more powerful for your business. You’ll have the volumetric data and analysis you need in front of you within hours rather than days. You’ll be better informed about what you have in the pit or the yard, so you and your staff will be able to make better usage calculations and business decisions, and you’ll be able to plan much better for whatever’s next. You’ll know precisely whether you have enough material for a job, how many trips it’s going to take to deliver it, among other factors that affect your ability to fulfill your promises, not to mention your profitability. As for the traditional two-man surveying crew, they’ve been doing a great job for years. But now, with advances in drones and related technologies, they don’t have to risk their safety anymore. Keeping them out of harm’s way and on other important projects for a full day or more while getting comparable or better data with only an hour or two of drone work… you do the math. There’s another factor that comes into play with volumetrics with drones: inspection frequency. Because it’s so much cheaper and faster to inspect piles with drones, you’ll be able to do it much more often to keep strict tabs on how much material has been moved and possibly improve your crew’s processes. Let’s say an earthmoving company is bidding on a project to move a pile of dirt and clay from one site to another. The estimator needs to know how much time, money and resources it’s going to take to put in an accurate bid. The company’s estimate of how much material needs to be moved is 2,000 cubic yards. If each of its trucks has a per-load capacity of 15 cubic yards, that’s 133 full loads plus one partial load. Flying the site with a drone, capturing the real-time kinematic (RTK) GPS ground control points and all the necessary images, and crunching the data results in a calculation of 2,659 yards. That’s an additional 44 loads. The difference = $5,059, which is nothing to sneeze at. Factor in the time and manhours not figured into the estimate, and income missed from other jobs the company could have been doing at the same time, and the cost is even higher. The company that doesn’t use drones is going to eat the difference, which could be a significant portion – if not all – of its profit. On the other hand, if it hires a professional drone services company at $900-$1,000, the company saves more than $4,000. And that’s just one job out of hundreds or even thousands the company will take on in a year. We’ve only scratched the surface so far. There’s a whole lot more under the sand pile that we’d like to share about how drones can positively impact your bottom line and the health of your company. One thing to remember is not just anyone with a drone can do this kind of work safely, quickly and accurately. It takes certified skills and experience with project planning, at the drone controls and in front of the computer screen to get the valuable data and reports you need. 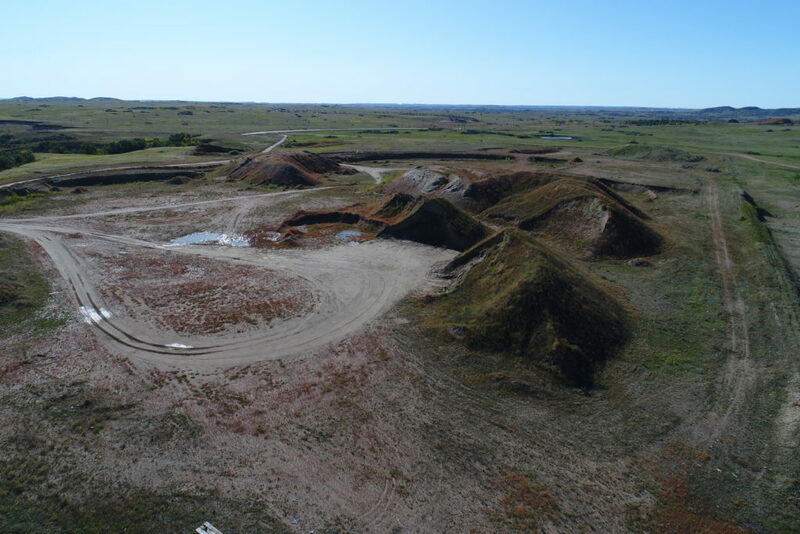 Top of the pile to bottom of the pit, drones have transformed the way we look at aggregates and stockpile inventory management.